Between 21st Avenue and Ditmars Blvd. 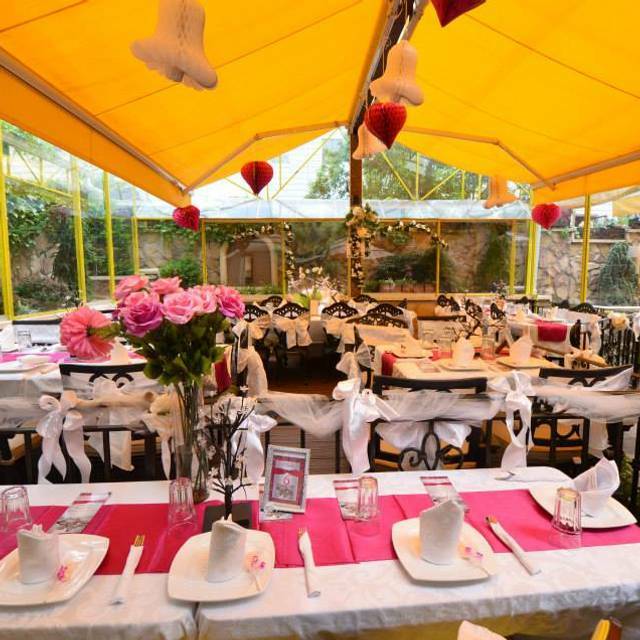 Victory Garden Café offers indoor and outdoor spaces with lush green terraces that travel you back to the Greek Islands.Victory Garden Cafe is the ideal venue to embrace memories that last forever. Call to discuss custom menus and additional services. Amazing European decor with available indoor and outdoor spaces conveniently located in the heart of Astoria. 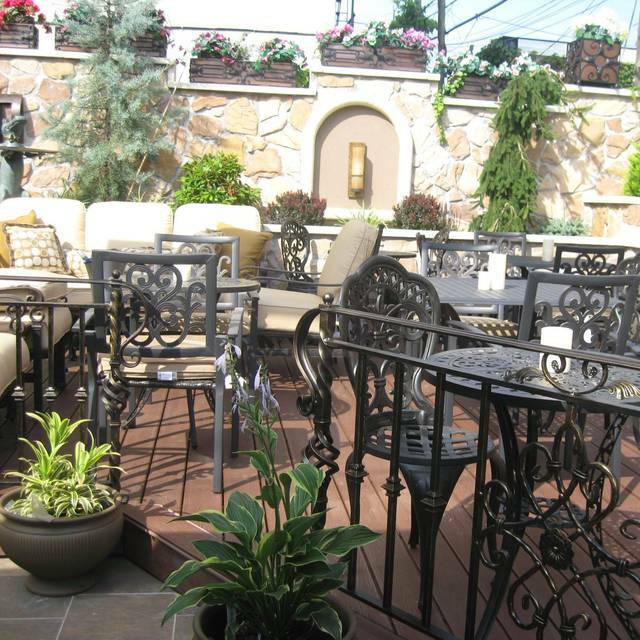 Make your next reservation in our outdoor/indoor majestic area and enjoy our large selection of Greek-Mediterranean dishes. Space also available for events. All breakfast items served with French fries. All sandwiches are served on white bread, whole wheat, multigrain, bagel, Victory Bread Koulouri, pita. Egg whites also available. With choice of cheese: Romano, Parmesan, American. Served with fruit salad, biscotti. Ham or Turkey, with choice of cheese. Served with sausage & goat cheese. On Multi Grain bread choice of cheese. With bacon, ham, or sausage. With 2 eggs & choice of bacon, ham, or sausage. With sun-dried tomato, green pepper strips & feta (oregano optional). Served with egg whites, spinach, peppers, mushrooms & onions. All pies served with Greek Island Salad. Greek Style Ham & Cheese Pie (Zambonotiropita). All coffee served with complimentary Victory Biscotti. Served with complimentary Victory Biscotti. All teas served with complimentary Victory Biscotti. A blend of Ceylon and China green tea with natural dried chamomile. Roiboos, also known as "Red Tea," is a caffeine free drink with a soft hazelnut taste, naturally sweet even if served without sugar. Add chicken, Add salmon, Add shrimp optional. A spinach salad mixed with blueberries, strawberries, raspberries, mangoes, covered in a raspberry vinegraitte dressing. This salad is so refreshing it will have you feeling like you are on vacation. Feta, olives, greens, cucumbers, onions, tomato. Steak served over Greek Salad. Lettuce, tomatoes, cucumbers, peppers, onions topped with tuna, served with house dressing. Crabmeat over fresh spinach, baby arugula, scallions, topped with house dressing. Served with 4 cheeses (kefalograviera, feta, halloumi & Havarti) with seasonal fruits, cream crackers, Victory Kritika, Paximadia & cheese pies & spinach pies. Watermelon topped with feta, halloumi, cottage cheese & served with Victory Kritika Paximadia or Wheat Cream Crackers. 0% and Regular Yogurt Available. Grilled eggplant stuffed with feta, kalamata olives, sun-dried tomatoes, garlic & sprinkled with olive oil & oregano. Home Made Greek Traditional Grilled Sausage. Zucchini, Eggplant, Bell Peppers & Mushrooms covered in a white wine garlic sauce, seasoned with oregano, drizzled with olive oil. Melted Kefalograviera Cheese over vegetables (optional). Freshly baked clams seasoned with garlic, fresh oregano leaves & drizzled with extra-virgin olive oil. Served with Kalamata olives, & marinated in red wine vinegar & olive oil. Octopus made with pearl onions, garlic & a tomato wine sauce. French fries seasoned (served with kefalograviera, parmesan, feta cheese optional). served with kefalograviera, parmesan, cheese optional. Green peppers stuffed with feta cheese & seasoned with oregano. Portobello mushrooms stuffed with chunks of crabmeat, and marinated with white wine, pepper & garlic. Stuffed mushrooms filled with a combination of Mediterranean cheeses. A Tarama (a type of caviar) spread mixed with olive oil & fresh lemon juice. A traditional Greek Eggplant Dip. A spicy feta cheese dip. Tzatziki, Taramosalata, Melitzanosalata & Skordalia. A meat specialty common in the island of Rhodes, Greece (served plain or with orange flavor). Crispy fried zucchini & eggplants served with skordalia dip. Mushrooms marinated with white wine. Jumbo shrimps coated with Victory's special seasoning. ("Tou Kreatofagou Adinamia") Loukaniko, Halloumi, Chicken Souvlaki, Pork Souvlaki, Veal Cutlets & Roditiko Souzouki. Seasoned scallops, Flounder & Shrimps served with Salad & Rice, Lemon potatoes, French Fries. Jumbo shrimp stuffed with chunks of crabmeat and seasoned with oregano, drizzled with olive oil, served with Salad & Rice, Lemon potatoes, French Fries. 2 Pork Souvlaki served with Salad & Greek rice, Lemon potatoes, French Fries. Grilled chicken marinated in a balsamic vinegar sauce & served with French Fries, Lemon potatoes, Greek Rice & Salad. 2 Chicken Souvlaki served with salad & Greek rice, Lemon potatoes, French Fries). 2 Chicken Souvlaki served with salad & Greek rice/Lemon potatoes/French Fries). Jumbo shrimps stuffed with chunks of crabmeat and seasoned with oregano, drizzled with olive oil, served with Salad & Rice/Lemon potatoes/French Fries Served with Salad or Greek rice. Mussels over spaghetti, topped with a white wine garlic sauce, served with Salad. Marinated grilled sirloin steak served with salad & Greek seasoned lemon potatoes. Mussels, Scallops, Calamari, Clams & Shrimp seasoned with Garlic, Oregano & a White Wine sauce. Served over Victory's Special Greek Risotto. Burgers Served with salad & fries. All sandwiches are served on white bread/whole wheat/multigrain/bagel/Victory Bread Koulouri/pita. 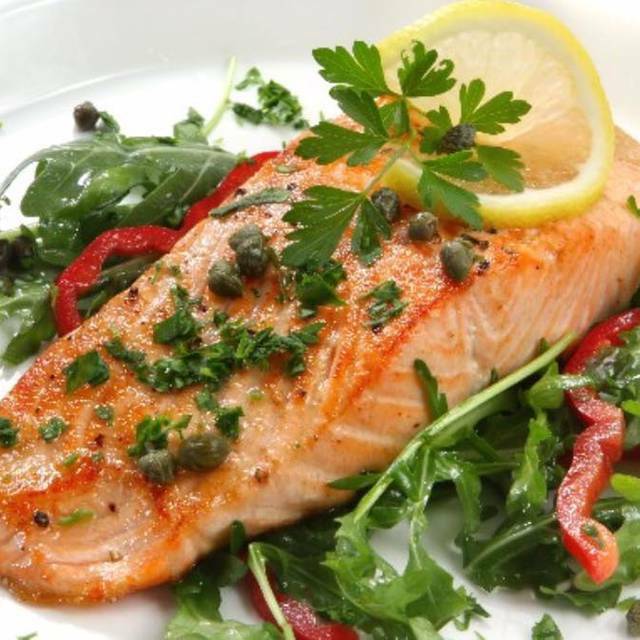 Smoked salmon served with capers, fresh lemons, cucumbers & sauce. Served with Greek Island Salad. Smoked turkey, peppers, onion, provolone, mustard & mayo. Served with Greek Island Salad. Olives, feta, country ham, sundried tomato, peppers served with salad or fries. Ham, grilled halloumi cheese, tomato, olive oil & oregano (optional). Served with Greek Island Salad. Cucumber Tuna Salad topped with slices of Havarti cheese, tomato & dill. Served with Greek Island Salad. slices of Italian bread served with sliced pancetta, fontina cheese, sun-dried tomatoes & fresh basil. Served with Greek Island Salad. Seasoned sirloin steak topped with a house dressing. Served with Salad or Fries. Veal cutlet drizzled with fresh lemon juice, olive oil & capers. Served with Salad or Fries. Join us this Easter for an amazing Brunch/Dinner in our Magical Indoor & Outdoor Garden All organic Ingredients.Brunch $31.95 unlimited select brunch drinks, 12 brunch options, Dinner $39.95:Baby Lamb Chops, VSeafood Combo, Grilled Octopus, Greek Specialties. includes s 3 course meal & dessert. My wife and I had a wonderful Valentine's Day dinner here. The menu options were excellent and the food was very good, particularly the desserts. Moreover the service was great and it was very thought to have management come by and check on us. We had a group of 11 for early brunch on a Tuesday morning. Everything was ready when we arrived and the staff was lovely. Sat in the back garden which was chilly at first, but warmed up quickly after the heaters were turned on. Excellent brunch fare including omeletes and french toast. Will go back and try a dinner. Parking is also very easy in this part of Astoria. Great choice for a Thanksgiving meal. About 30 minutes from a JFK, which for me was perfect as I had a flight to catch in the late evening. Friendly and enthusiastic servers, and a lovely patio-garden atmosphere made for a warm winter night when temperatures outside were in the low 20s. We had a great time there on Thanksgiving, made it a real special occasion we will repeat. Ambiance and service were fantastic. Food was very good, with just a few complaints. Only one out of five in our group had the turkey, which was excellent and moist. However we'd read about spinach and feta stuffing which it didn't come with; instead it came with a kind of wild rice which was nice but the person who ordered was expecting stuffing. We would have like some lettuce in our Greek salad. The shrimp scampi was unexceptional, but Greek dishes fantastic. Stuffed mushrooms were amazing! The service was great, as always. The waiters there always want to please, and always go above and beyond. They gave us one of their appetizers on the house just because we asked about it! I have always had a good dining experience there so far. Every dish I have tried has been delicious and well made. I had the grilled octopus for the first time and it was so tender and well seasoned! It was delectable! I would recommend Victory Garden Cafe to anyone for any occasion! Great all around!! Although it was a busy Sunday for mothers day they helped accommodate 18ppl!!! The staff was extremely friendly and accommodating. Came for their Mother’s Day brunch which included an appetizer, salad, main course, & dessert. The food was delicious. The courses were spaced out and the staff didn’t rush us at all. The place is family owned and you can tell by the level of care and interest everyone takes. They also have a bakery attached to the restaurant. I look forward to going back. We've only gone here once in the past year, but we love this place. Incredible food, personable service, a great covered garden area in the back, and delicious dessert from their adjacent bakery. A perfect place for lunch or dinner! This was my first time at Victory Garden Cafe and it was fantastic. There was a private party in the back, so I sat under the awning out front. I appreciated that they still had outdoor seating available despite the private party. The brunch special is perfect and so affordable. I got the Mediterranean toast, which had the best sausage I've ever had on it. Delicious. I didn't get the granita that was supposed to some with brunch though, unfortunately. The service was great and the waiters were very friendly. I highly recommend it. We celebrated our wedding anniversary and the ambiance was just right. Although we had occasional showers outside, you still had the outdoor garden vibe without being directly impacted by the rain. The wait staff was very polite and helpful . The appetizers were excellent; the mousaka and the stuffed shrimp were delicious. We were able to bring home pastries and the best spinach pie ever from the adjoining shop. Sat in the back garden for a business dinner meeting & everybody was impressed. Food was great & the garden decor is truly one of a kind, especially for Astoria. We ordered the Greek salad & a bunch of appetizers like octopus which was delicious!!! Overall great place! I came here with my family for my graduation dinner and it was horrible. We show up to the restaurant and they have nothing prepared. We then all sit down and have horrible service from a man who knew nothing about the menu- he didn't know what their house white wine was or what came on the house salad... We then waited for our food to brought out one by one, so by the time the last person got their food the first persons plate was already cold. The food was good but was taken over by the poor service and poor experience. Overall I would not go back and I would not recommend that anyone come here, especially if you're coming for a special occasion. Food was excellent. Service was a little slow. Drinks were inconsistent in taste. Sat out on the back patio area. Feels like being outside, but was actually enclosed. Perfect for a cool, crisp evening. Food was terrific. Service was a bit slow, with the different courses coming out very spread apart. But, we weren't in a hurry, so it worked out fine. 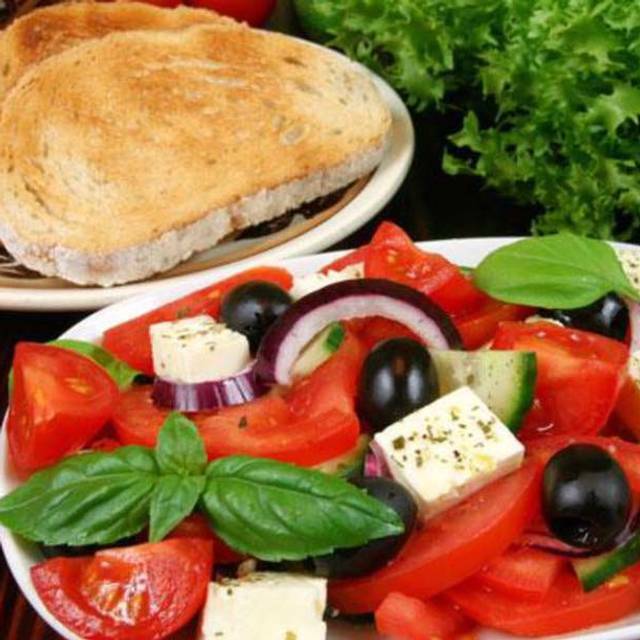 Authentic Greek/Mediterranean. Fantastic desserts from their next-door bakery. Casual environment. Great dining experience in a beautiful garden space. It was nice to enjoy a garden setting in the winter. 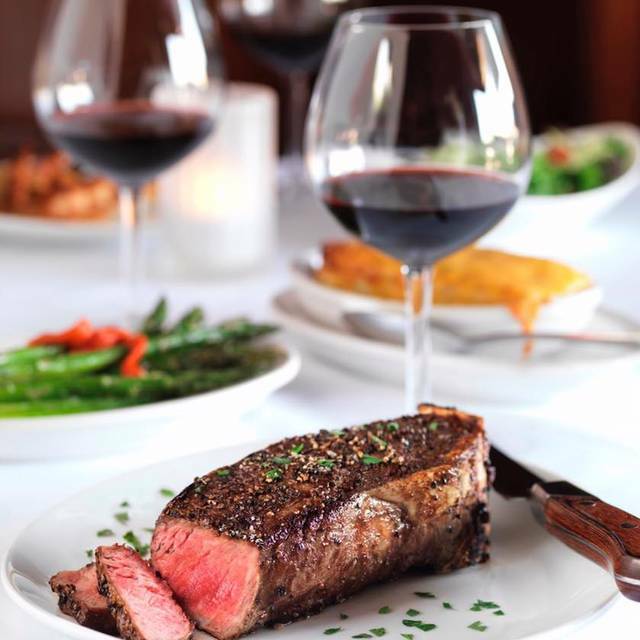 My date and I chose the Prix fixe Valentine's Day menu which included appetizers, salads and a great entree selection. I ordered the shrimp scampi and my date ordered them sirloin steak. For appetizers we had the Greek dip variety with pita and the crispy calamari. We enjoyed all the dishes and we plan to be back very soon. Thank you Victory for a great Valetines day! Some friends came out of town & we wanted to try a new restaurant in Queens. We saw online that this place has a back garden section & I must say it was amazing. The garden section was beyond my expectation. Check out their pics & you'll know what I'm talking about. We ordered the meat platter, Greek salad & a couple glasses of wine. The meat was delicious & the salad was very fresh. I'm glad we found this place. Overall an excellent experience!!! Great dining experience and atmosphere. We celebrated my friends birthday at The Victory Garden Cafe indoor garden and was impressed with the quality of the food and service. We picked the brunch menu (the Tsoureki French Toast &Chicken Sandwich) and added some appetizers (the crispy calamari and Mediterranean meat balls (keftedes). Everything was very fresh &a tasty and the quantities were extremely large. Their whole menu is made with organic ingredients. I will definitely be back here for dinner. The waiter was extremely helpful with explaining the menu and very attentive. Great place for events too. We sat in the back, which is a very cute outdoor area. There was only one other table occupied and it was quiet and romantic. The grilled octopus is the best I've ever had. Overall, the food was very good. Great Place! We loved the garden area. I had the steak with lemon potatoes & it was delicious!!! This is definitely our new "go-to-spot". We had a warm welcome on a quiet Monday evening. The portions were immense and the food waa delicious. Our server was charming and helpful, and even added a little extra surprise treat onto our appetizer. Save room for the desserts from the bakery part of the establishment, especially the baklava. Brunch here was average. The food was fine but nothing special. The drinks were expensive for brunch. Our server was quite pleasant and helpful but many of the things on the menu they didn't actually have. We were never rushed so we could stay as long as we wanted but we just felt that the bill was high for the quality of food we received. The back garden looked beautiful for outdoor dining but there weren't any tables back there at the time that we dined. No problem about that, I totally understand! I just mean that you should try to sit back there if you eat here. What a great find! The moment you enter the outdoor garden you feel like you have traveled to Europe! As soon as we arrived we were welcomed by the manager and waitress. The menu is extensive- we chose the brunch and ordered the Chicken Sandwich and the Mediterranean Omelette. All the ingredients were extremely fresh. The Chicken was cooked to perfection and very juicy- the asiago cheese was a great touch. The Mediterranean Omelette was also very good. The brunch was accompanied with delicious Mimosas. I definitely will be back one day to try the dinner menu. I can see this place to be great for a private event.. The Mother's Day Brunch was impressive. We were able to sit in the Garden Area in the back, which was very tranquil. The food was delicious. And best of all...they offered unlimited drinks of Mimosa, Orange Juice, House Wine, Love Potion (white wine, OJ, Mint), and tea/coffee. During our meal, my wife and I had 3 rounds of Love Potion and finished the brunch with some coffee, with everything being included. We will come here again. Having read some positive reviews (though there are quite a few negative ones out there as well), we really had hopes for a lovely Mother's Day brunch. It started really nice out in the lovely garden, but all went downhill from there. No bread or muffins were served, and every bit of the food was mediocre at best. Even the coffee was horrid, and the "skim milk" was a brownish condensed liquid. Ants ran all over the table and into our food (I know it's outdoors, but there are ways to control ants). It ruined our Mother's Day. :( Wouldn't return even if they paid me. Perhaps we did not choose the right food, but the pork souvlaki was very dry and hard to chew and the fried eggplants and zucckini released a whole poodle of oil. The deserts were very tasty. This was my first time visiting Victory Garden Café. The outdoor garden dining area is stunning! It really is a hidden gem. We tried some appetizers: the crispy calamari and the loukaniko (a greek sausage). Both were cooked to perfection! For entrees we ordered the seafood combo and the sirloin steak. Everything was extremely fresh and well seasoned. I also loved their selection of Greek Wines. Will back back soon to try more of their menu. It's my 2nd time here & I love it. We sat in the outdoor garden section which is enclosed in glass walls & a glass roof. This place is one of my top choices to bring a date. We had the octopus, calamari & a bottle of Greek white wine. Delicious! Delicious! Delicious! I will definitely be back soon. I came here with a friend and tried the brunch menu which what delicious. We were seated at a nice table in the outdoor garden.I had the Grilled Chicken Panini and my friend had the Mediterranean Omelette. The portions were large and the food was quite good. With the $10 brunch we also ordered coffees and mimosa. Need to try this place for dinner. The staff was attentive and friendly. I went with my girlfriend and sat in the garden section. The decor is amazing. It felt like we were on a tropical island. 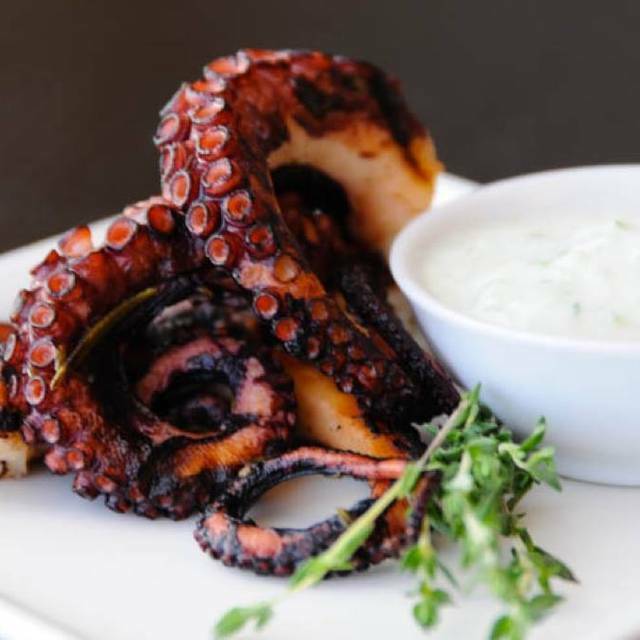 We had the grilled octopus and a bottle of Greek white wine. Our dish was delicious and the waiter was very attentive. I guess this place must be pretty new cause I'm surprised I never heard of it. I cannot stress how horrible an experience is when your bill is wrong! & the management TRIES to prove you wrong! 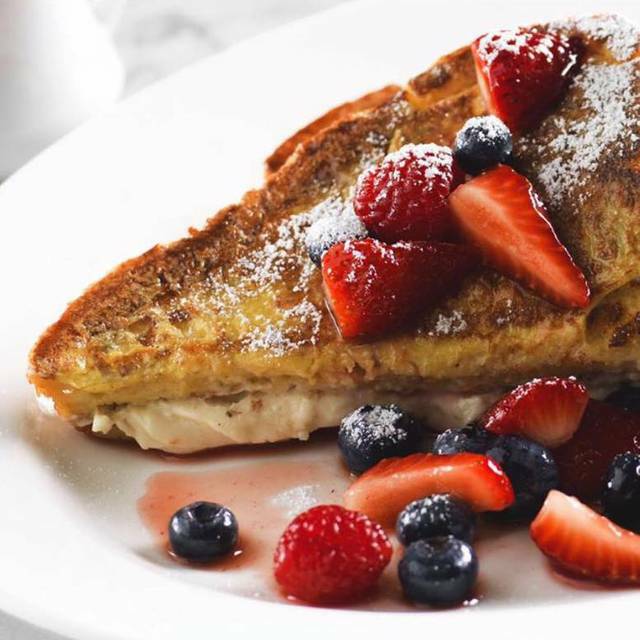 The prefix $35 Mother's Day menu & the EVERYDAY $10 priced brunch are WRONG! They ITEMIZED the bill. Who the f@ck itemizes for a prefix menu?! The bill was $20 more than it should have been & gratuity would have ended up higher. When I am told $35pp +tax, but then you have to sit there & add up a bill that is itemized because the total looks way off & everyone in your party agrees, ITS A LOUSY EXPERIENCE. The, waiter & the Manager just keep repeating themselves but $10 here & there w/ large parties... They figure nobody will notice! 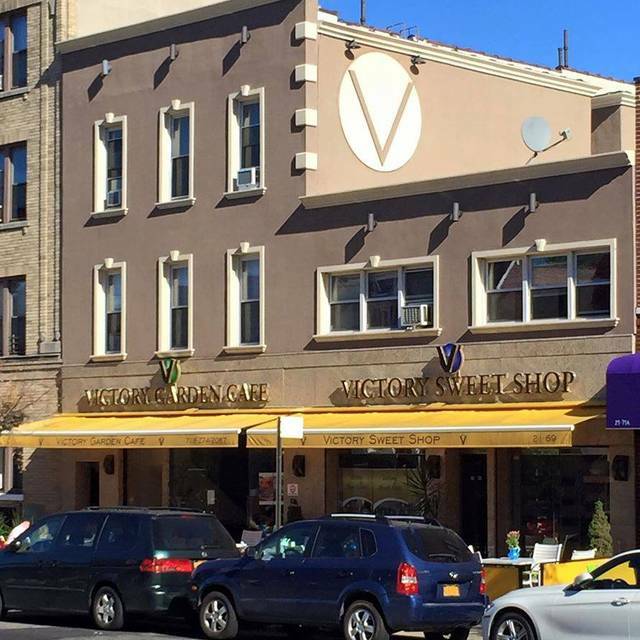 There are plenty of Greek Cafe's in Astoria. I won't ever need to consider this place again! ordered traditional puff pastry and homemade cheese pie. They were plain, plain, plain. Could had the same in any coffee shop. Service was a little slow, had to request water and coffee refill (there were only 3 other parties for the brunch). Good ambience if you want a quiet place with friends or date. What saved the brunch is the complimentary dessert in the end of the brunch, my date loved it. For the price $10/person/brunch the place is O.K. place to go. I would return if it was closer to home. I had the Health Burger, which they say is 98% fat free. I feared that it might be dry and crumbly, but was pleasantly surprised by how juicy and tasty it was. We were seated in the back of the restaurant, in the "outdoor" area, which was encased by glass doors and a sunroof. It was dimly lit, which gave it an intimate feel. Seating in the back was a little tight, but comfortable. The wait staff, who were very friendly and attentive, went out of their way to make sure that my party and I were comfortable and enjoying our meals. At the end of the night, they surprised us by serving one of their signature desserts - on the house! 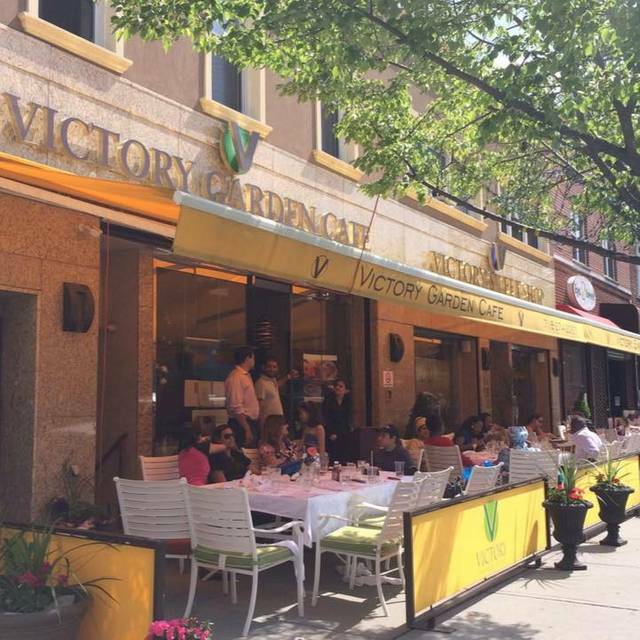 If I am ever in the neighborhood I would, without a doubt, dine at the Victory Garden Cafe again!